Let’s face it, some of us here love video games. Some of us may even love studying. However, in today’s society, one contributes way more to our future. Though we're not quite sure which. What good is cramming for your finals if you don’t at least have some fun doing it? That doesn't mean we can’t have both things together though. Just like how listening to music while studying to relieve stress has gone mainstream, video games too can have that effect on the weary student. Here we showcase five games as antidotes to too much stress, and all of them are completely free off the net. If there ever was a country that prized relaxed muscles and creaseless brows, Auditorium could probably serve as that country’s national sport. 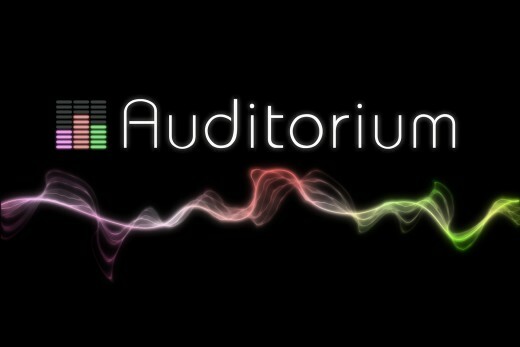 A mix of aesthetic and auditory appeal, the first twenty seconds of the game will make even the stiffest chair seem comfortable. Emphasis on relaxation has reached whole new levels - nothing about the game involves pressure. There’s no timer, no enemies, absolutely nothing to rush you save the joy of revealing a more complete melody every time things come together. As a painter-conductor, you manipulate music till grand melodies take shape. Cascades of light represent music, and it is not uncommon to wind up with a piece of beautiful abstract art at the end of each scenario. Some scenarios do involve quite a fair bit of brainpower to put together, but the resulting product is well worth the effort almost every time. Move over Norway, Auroras are now coming to your very own basement. For Girls: The game is a visual treat, particularly for the musically inclined (who can probably find more pleasure in playing it then most of us can.) Add that to the palette of beautiful colors and flowing atmosphere and you’ve got something you would be daft not to appreciate. For Guys: Probably not for the action junkie. Or the sports fanatic. Or the sandbox fan. It’s a game for ultimate relaxation. Go figure. Most people mug their socks off so that one day they might shape the world. With this gem of a game, you are well on your way to doing just that. Immersive, deep, and as complex as it is nearly monochrome, Continuity is a single creative concept made brilliant. 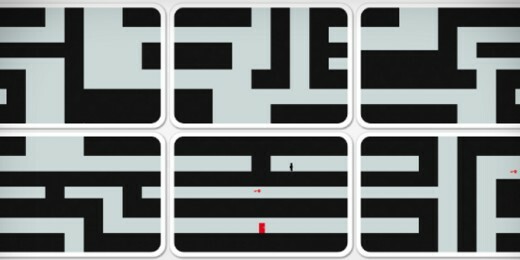 Think Labyrinth and Gridlock meets Portal-except that the only danger you ever face in game is running out of creativity. That’s right, instead of presenting generic hostiles to hinder and detain your character, Continuity confronts your inability to progress with the realization of the inadequacy of your own mind. How’s that for a wake-up call. That’s not all; there’s a bit of Spore in it too. 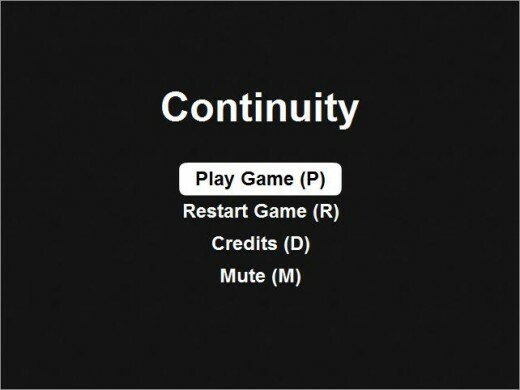 Continuity routinely shuffles the player between multiple perspectives, one that changes the environment, another which pilots the main character. Essentially you control an individual controlling yourself. What up. 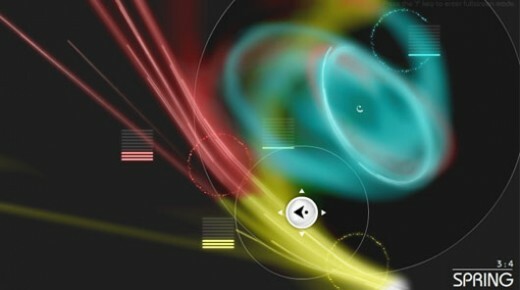 In addition to the unique concept, the soundtrack displays excellent harmony, consisting of two overlapping melodies-variations of each other. One more dynamic, played during the character sequences and another more ruminative and pensive scored during the manipulation sequences. It’s a great soundtrack for when you burn your midnight oil, no more, no less. SO DO NOT PRESS MUTE. For Girls: Not very colorful and cutesy, but its black and white and occasionally red color scheme could be Goth certified, if you’re into that kind of thing. Good thing to play with a bunch of friends. For Guys: For when Steam ever crashes and you miss your portal gun, this should give you guys that fix somewhat. Highly Addictive. 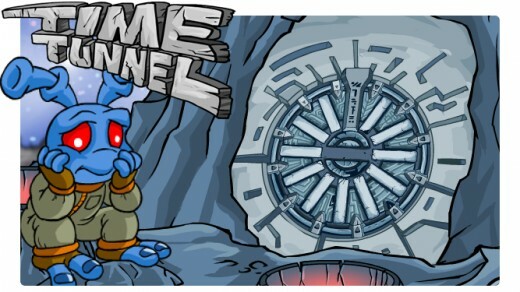 Forget that it is a Neopets creation. Never mind that you're studying so hard now because of the time you spent on this site last time. This game has one of the most soothing soundtracks to ever find itself onto the internet. It’s so smooth the composer was probably in a black-tie outfit with a pair of Ray-ban's on while spinning it in his hot-tub. It’s a psychedelic concoction of harmonious delight. Plus points that the game was not modeled after any others, as most games on the site mostly are. 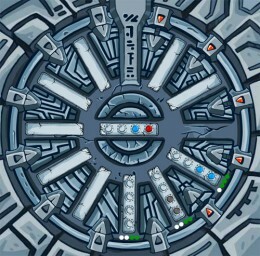 Inspiring and logical, Time Tunnel allows exploration of your innate puzzle solver in a no pressure environment. What light behind yonder window breaks? The fairly simple gameplay revolves around testing various combinations of colored slates in different orders, where each correct slate shoots into a lock and brings the player closer to the ultimate treasure. Incidentally the game can be played with one hand - good news to you multi-taskers. Finally, a game to pump your brain while you squeeze it dry. That’s dynamic equilibrium right there. For Girls: Other than the picture of the clearly male Neopet on the loading screen of the game, you shouldn’t have any beef with it whatsoever. For Guys: You should enjoy this particularly due to the manner in which the slates are placed into the locks. No, nothing particularly suggestive here. The visual appeal of Orisinal games. Good and really bad. 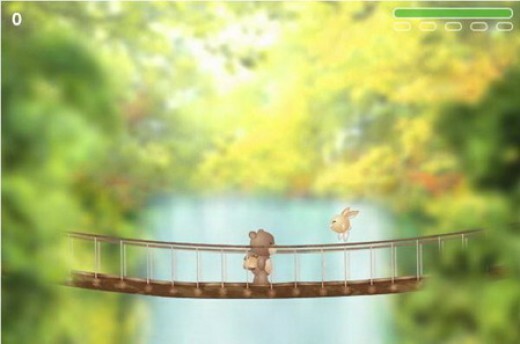 You could question the point of studying altogether and launch into an expansion of thought that helps you study… or you could just go on exploring the many cute games on the site until finals end. And as many of those games (61 games last count) just have high scores and no endings, you’ll play it forevers. Yes, forevers. Just be careful your finals grade doesn’t get sucked in too. For Girls: You probably know this site exists already. Yes. If you didn’t, you probably do. For Guys: Lots of girls know about this site. Face it, if you know this site here exists, a girl introduced it to you. If you don’t, playing a few games here and there for leisure could be a plus for social, even out of finals. After all, nothing quite gets interaction going than discussing a bunny light as air hopping on snowflakes with Pachebel’s Canon in D playing in the back (Winterbells). That’s animals, the weather, and classical music right there. This game is the final straw. The final frontier. Do not play it unless you really have to. Disclaimer: We will not be held responsible for any psychological trauma caused by the playing of this game. It’s what you need when you find yourself so neck deep in formulas and calculations, when you’re mired in notes and readings, and when you feel that nothing can save your mind from the stress of exams. That is when you break out this game. It will destroy that stress utterly. It will kill that stress to death. Theories have it that the game is actually a top secret concoction of psycho-chemical analysis, blending every single color and shape known to man with Hasbro's My Little Pony. Think Moses parting the Red Sea - with rainbows. Scholars claim the journey of the unicorn symbolically represents the journey that we all face, perilous and misguided, but a necessary one, shown by the cleansing rainbows left behind in its wake, and the promise of ultimate rewards. 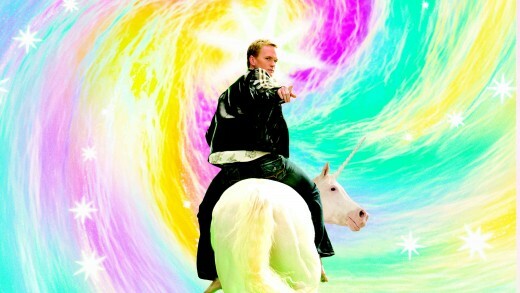 Day in the life of NPH. And if that wasn't enough, imagine playing the game through one of the greatest earbugs ever to hit the video game scene, Always, by Erasure. 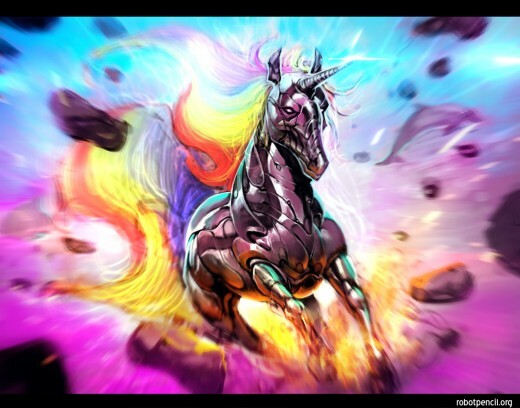 If the music video here wasn't confusing enough, imagine it blared continuously as your robot pony goes coast to coast on stars and purple heaven outcroppings through a rainbow miasma. Several noted researchers go so far as to explain the game’s universal appeal through parallels to the Nyancat, feline phenomena also known for its unique blend of locomotion and sanity-testing soundtrack. In short, play over ten minutes at a stretch and get into serious risk of having that song, and your future finals hopes, stuck in your head. This game can also be manly. For Girls: Huge gleaming ponies with horns, soaring through glittering stars while sowing unlimited rainbows over a vast dreamscape. What more can I say. For Guys: Try to imagine the pony as a mechanical death machine and those stars you’re busting as target boards. It helps take your mind off the incidental cuteness of the game, and after a while, as intended, your finals. Note: We do not take any responsibility for any kind of game addiction, halithosis and mental injury that is caused directly or indirectly by the playing of any games as explored in this post. Gamer discretion is advised.